Enemy of my Enemy page 3They say that different roads sometimes lead to the same castle. 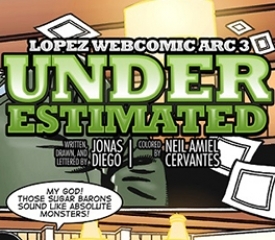 Will this be true for the characters in our story: the epic retelling of one of the most exciting chapters in Lopez history? 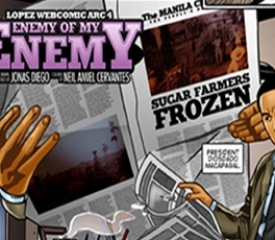 In page 3 of of Arc 5 of the Eugenio at Heart Lopez webcomic series entitled, Enemy of My Enemy II, the motivation behind Eñing’s pursuit of national progress is unraveled. 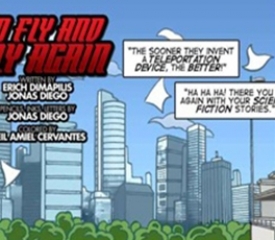 At the same time, a brewing disagreement starts to surface between our hero and his formidable ally, President Marcos. When two clashing forces arrive at an impasse, what happens to an alliance that was once built in ironclad accord? And now that another election is close at hand, will these two patch things up or is this the start of an all out campaign against each other? 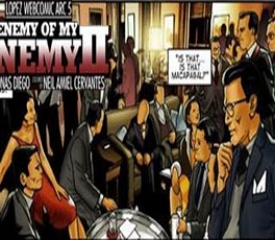 In this week’s installment, we get a closer look at the enmity that broke the chain of peace between two distinct individuals who shaped the course of Philippine history for years to come.